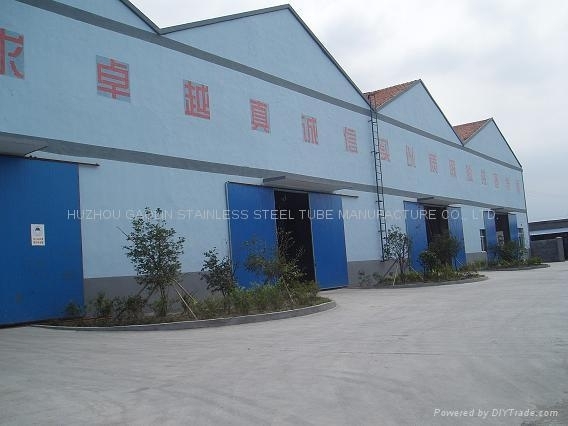 Huzhou Gaolin Stainless Steel Tube Manufacture Co.
Huzhou Gaolin is a professional manufacturer of seamless pipe & tube materials in nickel alloys, duplex grades and austenitic stainless steels from China. We have been in this field for more than 10 years, with export experience to more than 30 countries. Till now, we have got ISO9001:2008, PED 97/23/EC, DNV for marine, ASME certificates because of reliable quality. TP304, TP304L, TP304H, TP310, TP310S, TP310L, TP310H, TP314, TP316, TP316L, TP316H, TP316Ti, TP317/L, TP321/H, TP347/H, dual grade TP304/304L, dual grade 316/316L, N08904/904L, S31254 (254SMo), S31803, S32205, S32750, S32304, S31260, S32760 and corresponding EU grades like 1.4301, 1.4306, 1.4307, 1.4401, 1.4404, 1.4541, 1.4571, 1.4539, 1.4462, 1.4410, etc. If any inquiry we can assist, welcome to contact us at e-mail hzgl.ren@gmail.com or co-win@gaolinsteel.com.